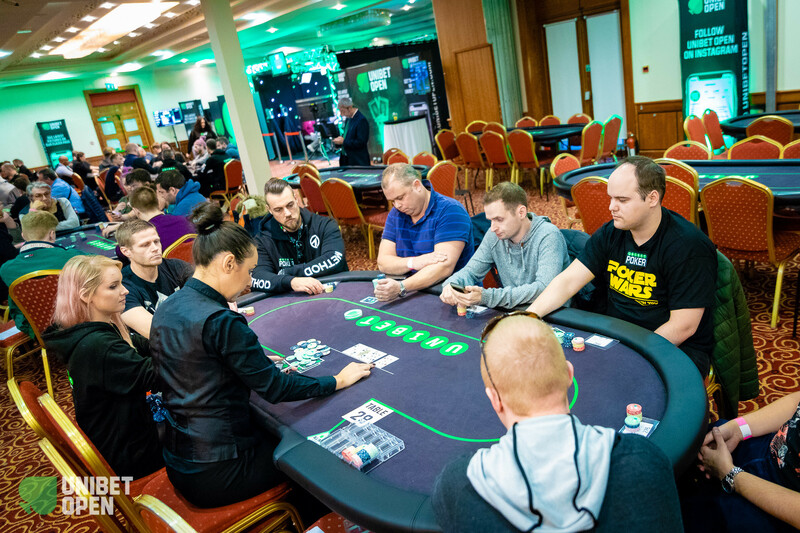 The final two starting days of the 2018 Unibet Open Dublin €1,100 Main Event are done and dusted, and the tournament easily surpassed the guaranteed prize pool of €250,000 thanks to 198 entries on Day 1b and 64 additional players in the turbo heat 1c. A field of 359 entries has emerged, and 123 survivors are still in contention for their share of the €359,000 prize pool. A very familiar face topped the counts on Day 1b, as Unibet Poker ambassador Ian Simpson bagged up 284,200 to claim the top spot ahead of John Keown (241,200) and three-time WSOP bracelet winner Benny Glaser. It has been very successful few days for the Brit in the Irish capital, who won the €2,200 High Roller and late-registered Day 1b to finish third in chips with 207,400. Other big stacks and notables among the 64 Day 1b survivors were Julien Kron (199,600), Irish poker legend Mick McCloskey (144,000), Monica Vaka (118,100), Ivan Tononi (106,200), Jason Tompkins (98,600), 2017 Unibet Open Bucharest finalist Pavao Veza (85,300), and Antoine Vranken (49,800). The vast majority of online qualifiers took to the tables and they were joined by the Battle Royale XI esports gamers and Unibet Poker ambassadors. Simpson shined the most, beaming with pride on the feature table when his wife Emma came over to rail, but he was by far not the only one that punched the ticket for Day 2 today. Quentin Lecomte (159,400) and David Lappin (107,000) spent the entire day on the same table, where they were joined late on by Lisa “STPeach” Vannatta (77,900). Dara Kearney also made it through on the first bullet and bagged up 65,900. In a rough spell for the esports crew in level seven, a trio departed within a few minutes including Scott "Sco" McMillan, Sophia "Djarii" White and Sven “Svennoss” Edelenbosch. White took a flip with ace-queen against pocket jacks and found no help on a six-high board. Plenty of notables were left empty-handed without anything to show for. The Unibet ambassadors Alexandre Reard and Fredrik Bergmann were among them, both suffering a less than optimal start into the day and bowing out much earlier than they had hoped for. Bergmann had a kicker problem with jack-ten against Scott "Sco" McMillan, who held queen-jack and the superior kicker on a jack-high flop. 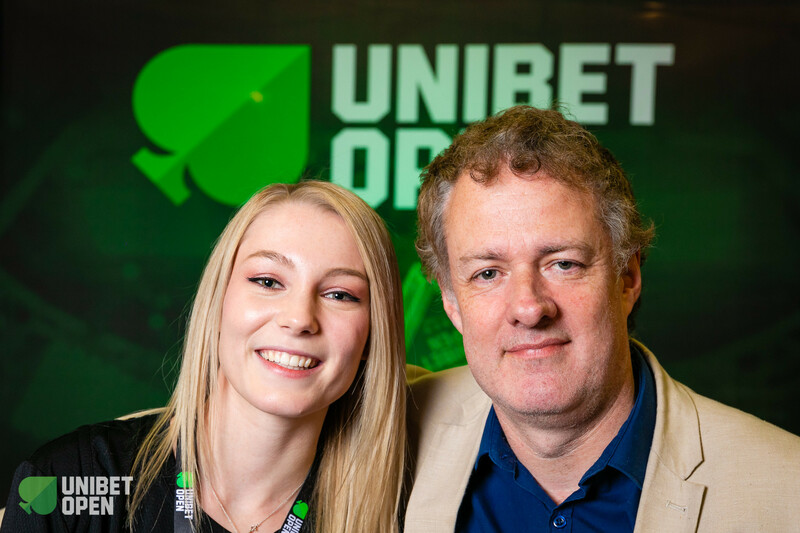 Mike Hill, Toni Ojala, Ronni Borg, Kevin Killeen, 2018 Unibet Open champion Andreas Wiborg and Mihai Manole also failed to find a bag for Day 2. Wiborg’s attempt to win a second title in the cxurrent year ended in level eight when he moved all in for fewer than 10 big blinds with ace-king. Julien Kron was behind preflop with ace-deuce suited, but running diamonds improved the Frenchman to a flush. Hearthstone pro Andrey "reynad" Yanyuk, who won the Battle Royale XI, ran with top pair into a set and re-entered the turbo heat to bag up the third-biggest stack with 90,600 as 35 players out of 64 entries made it through. Only 2014 Irish Open champion and two-time EPT Main Event finalist Patrick Clarke (122,200) and €2,200 High Roller third-place finisher Paul Jux Holderness (105,200) were ahead of Yanyuk. Also advancing from Day 1c were Unibet Poker ambassador Rauno Tahvonen (86,200), Alan "hotted89" Widmann (29,200) and two-time Unibet Open champion Dan Murariu (27,400), the hopes of Mateusz Moolhuizen to claim a third title at the end of season 11 vanished mid-way through the turbo heat. Andy Black (70,900), Paul Leckey (50,500), Tuomo Niskanen (50,200), and former Unibet Open champion Martin Soukup (37,300) will be back for Day 2, too. Once all players of both heats today had bagged up their chips, a remaining field of 123 hopefuls emerged and they will be back in their seats at the Bonnington Hotel in Dublin when Day 2 kicks off at 12 p.m. local time on Saturday, November 24th, 2018. More than half of them will miss out on the money, and the payout structure will be announced when the cards go back in the air. 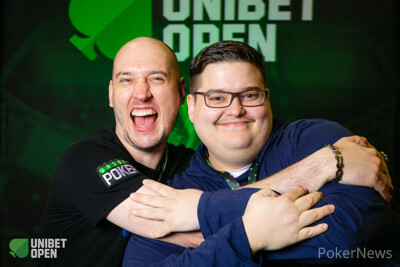 Along with the PokerNews live updates, you can also follow the action on the Unibet Open Twitch stream, which broadcasts all hole cards on a security delay of 30 minutes until a champion is crowned at the end of the weekend.